Despite a six-run Norfolk seventh inning the Louisville Bats held off the late rally for an 8-7 win Friday. Shortstop Zack Cozart and second baseman Chris Valaika each homered for the Bats. Left fielder Jacob Goebbert continued his hot hitting to lead the Lexington Legends to a 9-6 win over Delmarva. Goebbert was 3-4 with a home run, two RBI and four runs scored. The Bowling Green Hot Rods held off a late South Bend rally to for a 7-6 win. Third baseman Julio Cedeno was 2-3 with a home run, two RBI and two runs scored. Former UK catcher and 2010 Astros NDFA Marcus Nidiffer slugged his ninth home run of the season for rookie-level Greeneville. 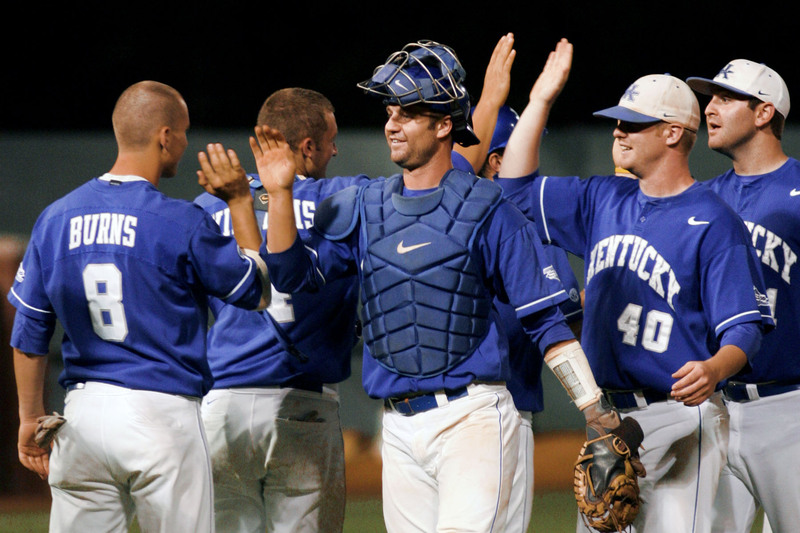 Former UK infielder Michael Bertram was promoted to AAA Toledo. Former UofL left-handed pitcher Justin Marks earned his first win since being promoted to high A Stockton after surrendering three runs in five innings. Former UofL infielder and 2010 Rays draftee Phil Wunderlich was 3-5 with two doubles, two RBI and two runs scored. Former WKU outfielder Chad Cregar slugged his 14th home run of the season for low A Greensboro. Former Murray St. right-handed pitcher Mike Perconte picked up his seventh save of the season for high A Daytona. Former Morehead St. right-handed pitcher Henry Mabee earned his second win of the season despite surrendering three runs in one and two-third innings for AA Birmingham. Lafayette High School alum Chaz Roe took a no decision for AAA Colorado Springs despite surrendering just one run in seven innings. Roe Struck out seven and walked one.